They're calling it Cheesegrater 2. Another mammoth tower — taller than Canary Wharf's 1 Canada Square — has won approval in the Square Mile. 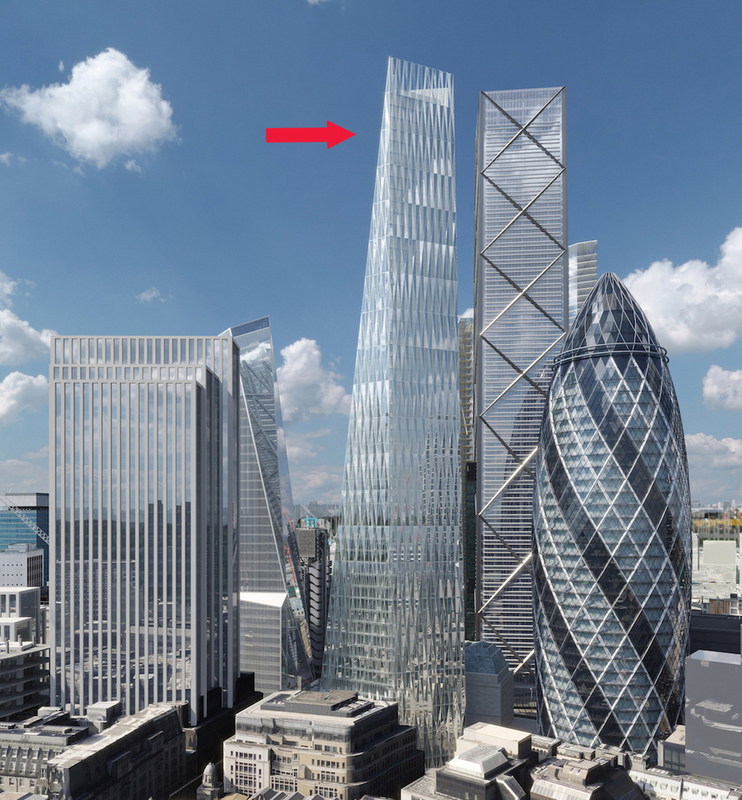 Like its nicknamesake, the building would take the form of a giant wedge on Leadenhall Street. 100 Leadenhall would stand a little to the east of the Cheesegrater building, on a site currently occupied by some unremarkable low-rise offices. At a shade over 247 metres above ground level (263m AOD, for those who care), it would be loftier than its angular neighbour by more than 20 metres. Only the under-construction 22 Bishopsgate and planned 1 Undershaft would be taller in the Square Mile. 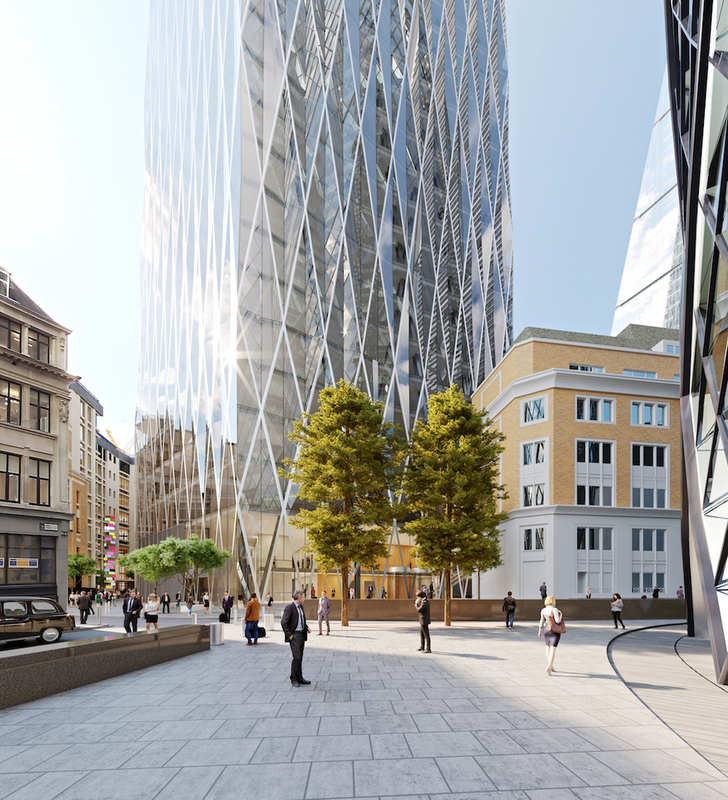 The tower, from architects SOM, won approval despite concerns over its proximity to the Tower of London and the historic Bevis Marks synagogue (which will fall under its shadow in late afternoon). Its sloping aspect mirrors that of both the Cheesegrater and the recently erected Scalpel building. If construction goes to plan, the building should be complete by 2026. You can examine the planning documents and public comments on the building here. Follow discussion about 100 Leadenhall on SkyscraperCity.